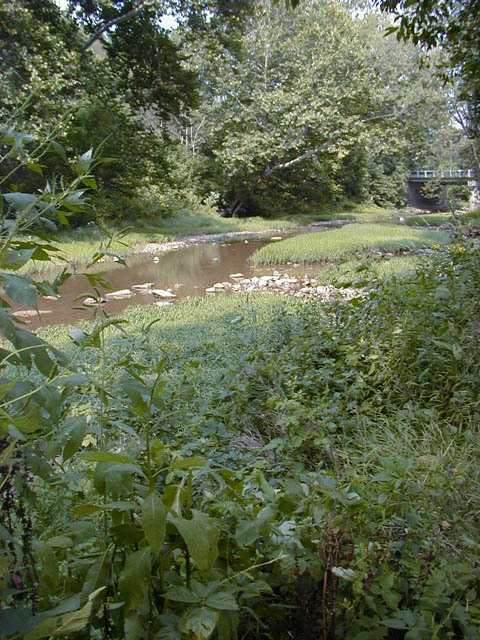 Yellow Creek at Hammondsville, the final resting place of Opal (Rosie) Elliott Schoop. Rosie wanted her ashes scattered in the quiet waters of Yellow Creek at Hammondsville, reconnecting to her childhood roots, which she fondly remembered throughout her life. Donald Smith, Margie Yuhas O'Tool, Gene Garlock, Janice Garlock Donley and Ed Donley scattered roses in the water to conclude an informal ceremony. Photo by Ed Donley, 2001.